So back in 2012, I was single and ready to mingle. The world was my oyster and I wanted to do something adventurous and life-changing. At the time, my friends were all in relationships and had trips booked for the year and so I decided to investigate volunteer projects. Travelling by myself was something I had never really considered before. Could I do it? Would it be safe? How would I cope travelling without someone else? Would I not be lonely? These were all questions that crossed my mind initially, but I knew in my heart of hearts that this was something I had to do for myself. I ended up visiting STA Travel and picking up a selection of brochures to take home. However, the one I kept looking at and reading was on about volunteering. I have always been someone who likes to help others; genuine acts of kindness, small token gestures, and going above and beyond my means. I smile often and always and will do my utmost to make others smile too. I don’t know about anyone else, but I feel like I have a purpose in life and that is to help others. I want to bring about change and I want to make a difference. Now I flicked back and forth through the STA Volunteering Guide, considering various opportunities; working with animals, children, communities, conservation, and team sports. The options were vast. Then there was the question of which country and the duration. If you are struggling to decide what type of project to go for, just think about what you feel most passionate towards and which project you wish to make a difference to. 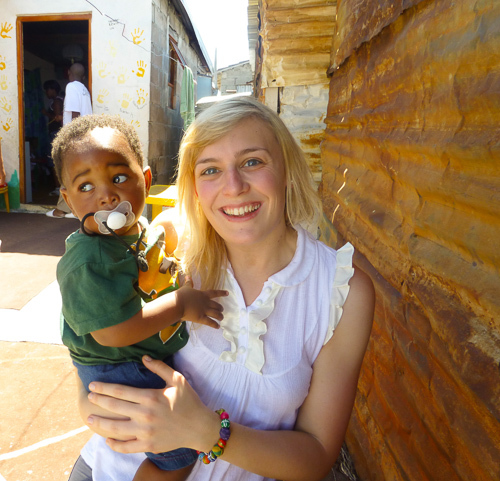 There is one caveat to volunteering with STA Travel and that is you will need to be at least 18 years old to take part in most of the projects. That is not to say that if you are 15-16 you cannot go out there and do your bit to volunteer, but you may need parental consent. STA Volunteering Projects can last anywhere from 1 week to 6 months. I was fairly limited with dates as I work full time, but I had 3 weeks to contend with, which gave me ample time to travel to a continent I had never explored before. Thailand, India, Cambodia, Sri Lanka, and Bolivia were all contemplated, however, one stood out in particular and that was a volunteering project in a township in Cape Town. I read the blurb time and time again and as soon as STA opened, I was back in the store seeking further information. This time I walked away with more detail about the project, time periods, rough locations, vaccinations, healthcare and what I would be doing. At the time I knew of no friends, family or work colleagues who had visited Cape Town. Even those I speak to now visit as a tourist and not a volunteer. I remember talking it over with my parents who were naturally concerned. However, I was young, fearless and determined to help others, so I booked on to the trip. STA travel assisted me with booking and finding appropriate flights, as well as arranging my travel insurance. These projects are not necessarily the cheapest, with mine costing £900, but paying a deposit of £150 in the first instance made it more affordable and allowed me to save and pay the remainder at a later date in instalments. The project involved working in an orphanage in Masiphumelele in Cape Town for 2 weeks, which meant that I needed a CRB check. This was a simple application form to complete and STA Travel provided me with the name and details of the project. Once the form was finalised and sent, it got approved and returned to me by post. I remained in contact with STA Travel throughout the next 7 months. I suffer with anxiety, and so was a little apprehensive of where I was going to be staying and with who. However, I received a reassuring email from the travel expert confirming that I would be staying in a Volunteer House with a host family and other volunteers and that it was very homely. The email said, “She will LOVE it don’t worry”. Little did I know that it was going to be one of the best experiences of my life. Months of planning quickly passed and suddenly it was time for me to pack my rucksack and leave for South Africa. The flight was long with a stopover in Johannesburg, but I was greeted at the airport by a friendly man holding a sign with my name on, and boy did I feel like a celebrity. I was genuinely relieved to meet someone at the other end with a big smile, and who proceeded to assist me with my luggage. I always forget when backpacking that it’s all very well packing the bag, but you then have to stand up without falling over and walk with it too; something I have always struggled with. 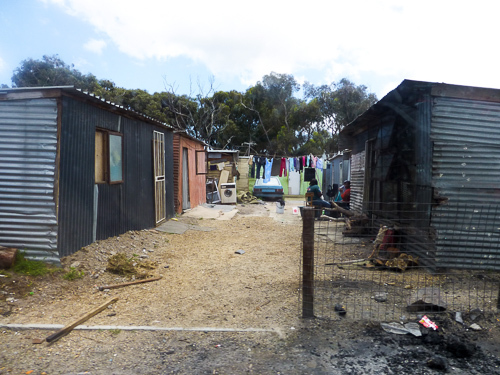 Before long I was travelling by mini bus to the Volunteer House in Kommetjie. I suddenly started to appreciate that the next few weeks were going to be like nothing I had experienced before. The tarmac highways of the city were quickly forgotten, and the roads became dusty and unmarked. The landscape of skyscrapers transitioned into shacks by the side of the road, with individuals walking freely in between cars trying to stop the mini bus asking for money, and the poorest living conditions I have ever witnessed. I recall looking out the window in amazement at how people were housed. On arrival at the Volunteer House, I was greeted by a number of people from Germany, Sweden, Belgium, Australia and the UK. In total there were 8 of us volunteering. We all had our own bed with fresh linen, and a little shelving unit to store some of our belongings. I met Sidney and Candi, who were the Hosts and their daughter Amy. They had the biggest and warmest hearts and I was amazed that this selfless family opened their home to volunteers from across the world who all wanted to make a difference. Mama Candi had so much love to share, and she knew that the project would be a transition for each of us from a westernised culture. 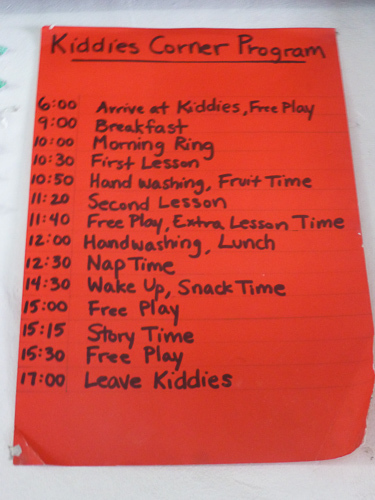 We were quickly introduced to a chore’s rota, where we each got to prepare and cook dinner and wash up each night. Showers were restricted to 4 minutes due to water shortages. These were not hot like I was used to back home and one of the showers was even outside, so to begin with they were a shock to the system. However, I quickly accustomed and soon forgot about my home comforts. My days volunteering were spent much like a 9-5pm job with an hour’s lunch in the middle. I was collected each morning and driven into the township in the mini bus. It was simply not safe to travel there independently due to violence and crime in the area, so I was dropped right outside the Orphanage with 2 other volunteers each day. 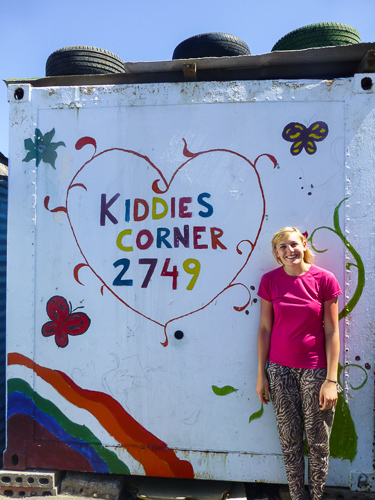 I spent most of my time at Kiddies’ Corner and Ithemba Orphanage. The children at both locations were newborn to aged 5 years old. I will never forget the first drive into the township. 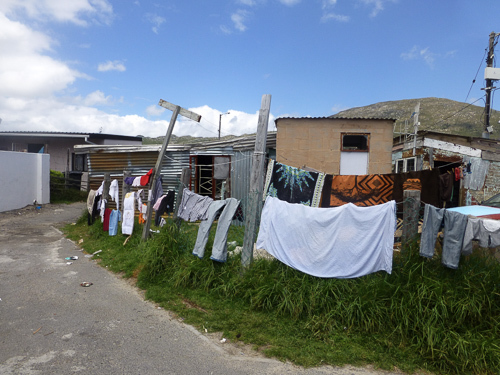 There were small intimate communities living almost on top of one another, with modest containers for housing and corrugated iron spread across the top as roofing. People were walking around with little or no clothing and barely any footwear, and animals were roaming free. Buildings were minimalistic and it was clear that there was a lack of sanitation and hygiene. 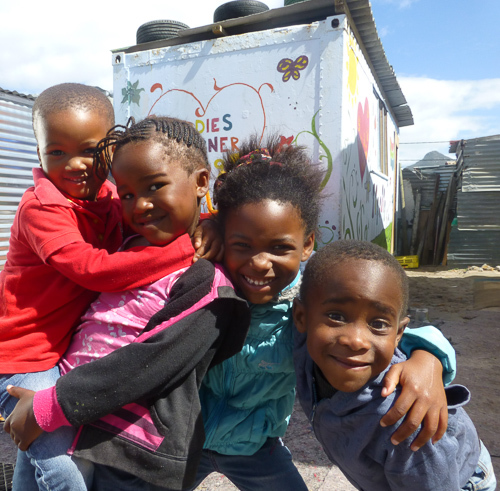 As I stepped into Ithemba Orphanage I was greeted by a classroom of smiling happy faces beaming back at me. The conditions inside the building itself were poor; there was a ripped worn carpet which barely covered the concrete and toys were spread across the floor, the majority of which were broken in some way. I could not believe how happy these children were, given the conditions both in and outside the orphanage and their life experiences to date. All the children that I met at both Orphanages were wards of the state. This meant that they were all waiting to be adopted and had either been abandoned at a young age or removed from abusive families through the children’s court. 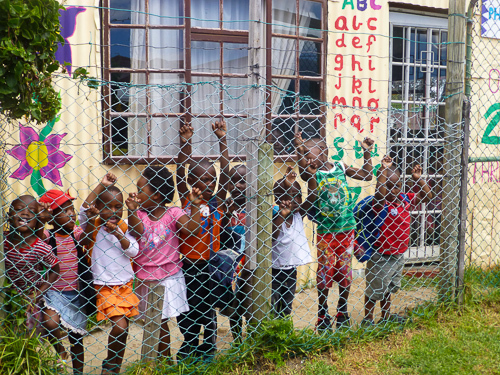 During my visits to Ithemba, I spent the majority of my time with the 3-5-year olds, helping with reading and writing, playing games and even taking them to the local park. The visit to the park was eye-opening. Walking there required holding hands with 6 children and keeping an eye on each and every one of them; something which may sound easier said than done. When I got to the park, it was covered in sand and a lot of the children took their shoes off. They were extremely excited to play on the see saw, merry-go-round and swing and clamber on the climbing frame. 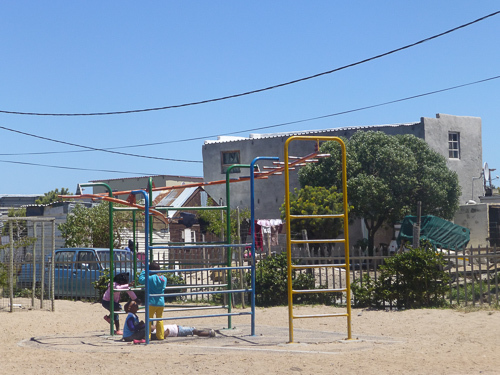 However, this play area, which was the prime location to promote their physical, social and cognitive development, was in fact completely unsafe and full of hazards. The sand was covered in broken glass and tins, used condoms and rubbish, and one child even presented me with a used drugs needle which I had to quickly dispose of. I was shocked at the state of this playground, an environment which should be somewhere they could flourish and feel safe. My time spent at Kiddies’ Corner was different again. The classroom was small and overcrowded, and the stench of urine was overpowering. Small children urinated into empty oil drums which were sat basking in 28-degree heat outside. If children misbehaved, they were struck with a belt and then cried. This was something I disagreed with and I found it hard to hold back the tears. However, upon reflection, South African culture is very different to the UK and discipline varies considerably. Kiddies’ Corner had a small room with babies in cots. For the first few days my preference was to spend time with the older children. I have no babies in my family and wasn’t sure how I would be around them. That said, I was asked to attend to a 9-month-old who was crying in a cot. I scooped him up and held him close to my chest, and he immediately stopped crying. I became very attached to him throughout the project and developed my maternal side. Given the limited facilities they had at this orphanage, the children had a structured day of learning and were taken to church. They had lessons where they went through their alphabet, learnt songs, and did arts and crafts. 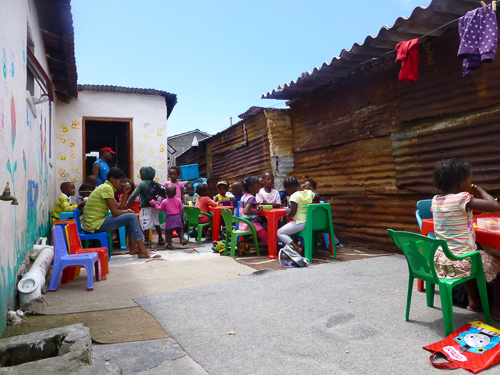 They also had time to play and eat their lunch sat outside at a chair and table, something that wasn’t available at Ithemba. It was evident that the staff were stretched but doing their utmost to provide these children with the best start possible. While the majority of the time was spent volunteering, evenings were our own free time and at weekends, we had the opportunity to travel and explore Cape Town. Do keep an eye out for my next post on the best attractions to see when visiting this beautiful city. For anyone deliberating as to whether to volunteer, I would encourage you to do so. Book that trip! 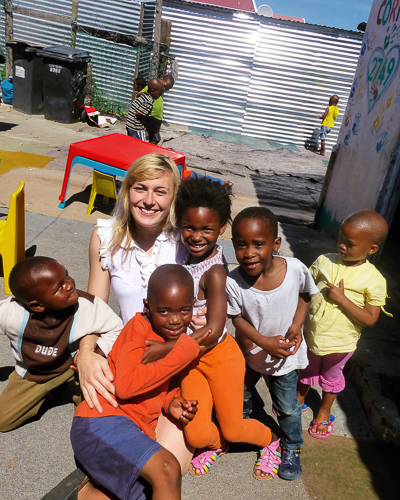 The volunteering project in Masiphumelele was one of the most challenging and rewarding experiences of my life. I worked with some of the most vulnerable children who literally had nothing. I witnessed conditions and experiences I never thought possible and walked away with memories I will treasure forever. I travelled solo, and gained independence and confidence, while truly making a difference to the lives of others.